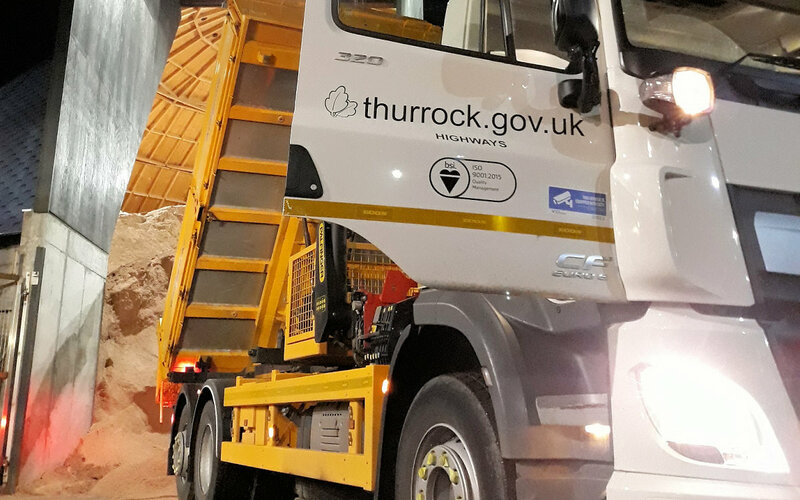 New gritters have been in action for the first time as Thurrock Council continues to invest in keeping people safe on the borough's roads. Following a drop in temperatures earlier this month, the council's new fleet of specialist multi-purpose vehicles – which also carry out road maintenance work – were used for gritting for the very first time. The council grits approximately 226 miles of road, with routes graded by importance. These routes consist of the priority routes, which as made up of the main road network, such as the A13 and bus routes, and take about 3 hours to grit. If the weather is more severe, secondary routes are also treated and take another 2 hours. Cllr Aaron Watkins, portfolio holder for environment and highways, said: "Temperatures are still relatively mild, but we saw a couple of nights where there was a notable dip so our gritters went out for the first time. "We are committed to keeping the borough’s roads safe and monitor the weather closely throughout the winter, which means main roads and bus routes are often gritted in advance of any adverse weather arriving. "We typically spread about 20 to 40 tonnes of salt a day and these new vehicles, which are part of a wider investment of about £8million on new environment and highways equipment and vehicles, will be a big help in ensuring our gritting programme is as effective as possible. "I would also encourage residents to do what they can to stay safe on the borough's roads this winter, including keeping a close eye on weather forecasts, properly preparing their vehicles, slowing down, allowing extra time for their journeys and, in particularly extreme weather, avoiding any unnecessary trips altogether."